And I said, 'Why not? It's the truth! Why can't I say I'm a Beatles fan?' I used to get criticized for that. I didn't say I wasn't gonna do rockabilly. I just said I ain't gonna sing no song that ain't a country song. I won't be known as anything but a country singer. I enjoyed the Hee Haw people, but from 1980 on I didn't enjoy it and thought about leavin', and thought, hell, it's an easy job and pays wonderful. I kinda just prostituted myself for their money. 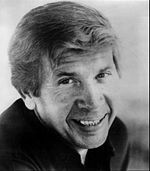 Owens was born on a farm in Sherman Texas to Alvis Edgar Owens Sr. They achieved crossover success on to the pop charts. The accidental death of Rich his best friend in 1974 devastated him for years and abruptly halted his career until he performed with Dwight Yoakam in 1988. Alvis Edgar Owens Jr. His signature style was based on simple storylines infectious choruses a twangy electric guitar an insistent rhythm supplied by a drum track placed forward in the mix and high two-part harmonies featuring Owens and his guitarist Don Rich.